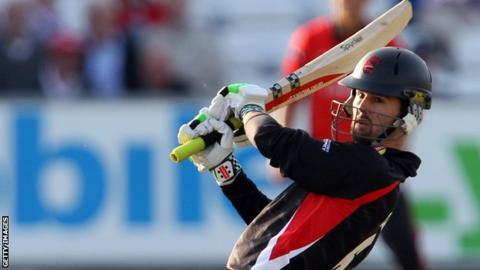 Leicestershire duo Dan Redfern and Andrea Agathangelou have not been offered new contracts. Redfern joined the Foxes in 2014 after leaving Derbyshire by mutual consent. The 25-year-old batsman scored 692 first-class runs at 25.62 and a further 124 runs in white-ball cricket, and also took 15 wickets with his off-spin. Agathangelou, 25, joined in May and scored 42 not out against Essex to help the team win their first Championship match in almost three years. Leicestershire chief executive Wasim Khan said: "We'd like to thank Dan and Andrea for their contributions and we wish them all the very best for the future."